Susan Sachs Lipman (Suz) is the author of Fed Up with Frenzy: Slow Parenting in a Fast-Moving World, which grew out of her blog, Slow Family Online. I met her in her new role as the Social Media Director for Bookboard, a digital children’s book library. You can try Bookboard for FREE, a service that hooks kids into reading by unlocking digital books, letting them earn exciting new content every time they read. We have tried this service in our Digital-Storytime lab and it is an ingenious app, well-crafted and streams un-enhanced ebooks with an impressive line up of popular titles and quality content available. They even have a staff librarian, my pal Cen Campbell, making Bookboard a well-catalogued and curated collection of digital books perfect for classroom or home use. Check it out! Have you heard of Soft Skills? If not, you will. These are the skills that 61% of business managers look for, according to a study by Millennial Branding, and they might surprise you. Soft skills have little to do with specific or technical training. They refer to such skills as the ability to prioritize work, a positive attitude, and teamwork (the top three mentioned by managers in the study). Others include commitment, flexibility, leadership, creativity, and problem-solving skills. Technology and specific knowledge (hard skills) fall lower on the list, because it is commonly felt that it is easier to teach those than the personal and interpersonal soft skills. Many employers are bemoaning the lack of soft skills among job applicants. What is a crucial skill and habit that builds creative muscle and its attendant soft skills? Reading. Kids are already incredibly drawn to, and competent with, digital technology at increasingly younger ages, yet many parents remain reluctant when it comes to digital media. They needn’t be. If used purposefully, digital media can provide powerful learning tools, with such features as audio and other cues, instant feedback, and tremendously engaging and memorable content. Most children are so fluid in their technology use that they don’t distinguish between digital and non-digital material the way adults do. The Scholastic Kids and Family Reading Report tells us that kids today are reading more than ever, in both digital and print forms, and that half of children ages 9-17 say they would read more books for fun if they had greater access to e-books. E-books, in particular, are motivating boys and reluctant readers, who are reading them for fun in record numbers. Cause enough to celebrate and lighten up about the delivery method. Tablets and e-readers make it easier than ever to take your personal e-book library along wherever you go. And there are lots of great devices for reading e-books. The digital subscription service Bookboard provides access to a library of children’s books for the tablet, in a playful system that harnesses the natural interest kids have for technology and helps motivate them to read by rewarding them with books appropriate for their age, reading level and interests. Carisa Kluver, writing in Digital Media Diet makes some great points about overcoming her initial reluctance to digital books by realizing that they are closer in experience to print books than to apps or electronic toys. Digital books offer some distinct advantages over print books as well. Audio books have proven a very effective tool for all readers, especially those who have reading challenges. Many e-books also feature highlighted text, which reinforces spelling and word recognition, as well as written-to-oral connections when used in audio books. Think picture books don’t lead to early literacy and a lifelong passion for reading? Think again. Picture books allow for a great deal of communication between an adult and a child, and kids learn from that communication. In addition to an increased vocabulary, they learn to read facial, vocal and other cues that lead to interpersonal skills. Picture books also help teach such concepts as cause-and-effect and story sequence, both of which are keys to critical thinking. Many concepts and themes in picture books are amazingly complex. The pictures and presentation, especially if there is a digital component, make them palatable to young readers. Seek children’s books that feature positive role models and depictions of family – there are plenty! Read out loud to kids of any age, or ask older readers to share something about what they’ve read. Books and the conversations about them can go a long way toward teaching such values as cooperation, kindness, flexibility and respect, in a way that takes the focus away from the child and puts it on a fictitious character. The 50-year-old Berenstain Bears series is very good at illustrating kind behavior, positive family bonds, and ways to overcome personal challenges in an appealing way. In this era of high productivity and achievement, imagination and storytelling can be left behind. That would be a mistake, say academic researchers who have gathered data indicating that reading fiction activates neural pathways in the brain that help readers understand human emotion. This leads directly to overall social skillfulness, a vital workplace and life skill. Further reason to let kids choose their reading and gravitate toward fiction if they desire. 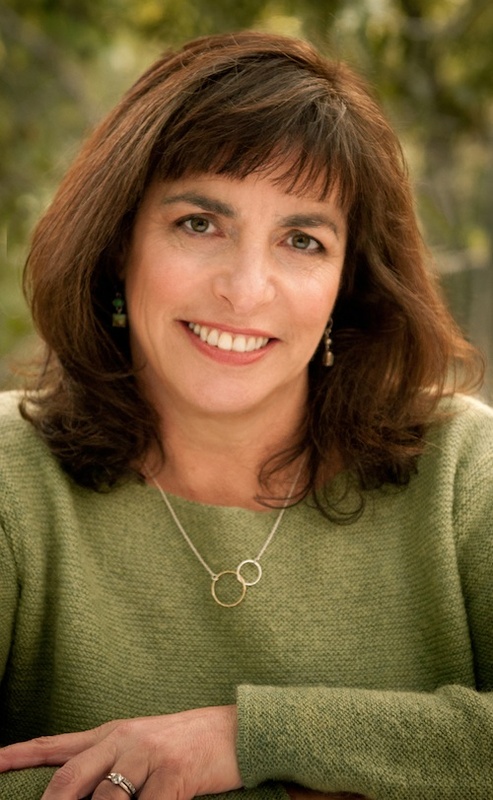 Susan Sachs Lipman (Suz) is the author of Fed Up with Frenzy: Slow Parenting in a Fast-Moving World, which grew out of her blog, Slow Family Online. Suz has written for the New York Times Motherlode blog, the Christian Science Monitor’s Modern Parenthood blog, and many other outlets. She is the Social Media Director Bookboard digital children’s book library.